A marketing plan is an essential part of promoting your law firm online effectively and turning your investment into profit. It maps out your law firm’s future growth. According to eMyth’s SOBO (State of the Business Owner), their research saw that companies with a documented marketing plan saw 30% faster growth. Let’s discuss all four steps in detail. Tailor your legal marketing plan and strategies to attract your best prospects and meet their needs. Tweak your law firm service to serve your target audience in an effective way. Increase cost efficiency. You can focus on the core strategies that make maximum impact on your potential clients and forego strategies that show minimum to no results. Produce a positive ROI because your content will engage with your audience better. You need to conduct a market analysis to identify your target audience and then craft your law firm’s marketing plan based on that. Start off by creating a broad description of people who might potentially use your law firm services. Establish the geographic location, age and gender of your target clients and then fine tune it by including income levels, interests, occupation, and education. Use the data available of existing clients and jot down the common characteristics. You can get this information from your existing clients. Send them survey forms, offer them some incentive in exchange for filling up questionnaires, or get them on phone. What brought them to you? 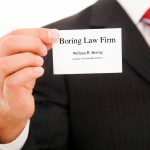 Why they chose your law firm over others? What were some things holding them back from choosing you? What factors affected the decision of choosing a law firm to represent their case? What more would they like you to offer them in terms of services? What problems did they face while searching for a law firm? Once you have a list of their answers, look at the common points that all your clients made. Hone in on the very specific problem all your clients have in common. Step 3: Where does your target audience hang out online? You need to find out where your target audience hangs out, in order to figure out the marketing strategies and tactics you’re going to use to lure them. How will they find you online? For example, Pinterest is female dominant social media forum. If you’re a family law firm specializing in helping women with divorce, Pinterest may be the marketing platform for you. There are several ways to nail your target audience’s online endeavors. You can send out a survey to existing clients, fans following you on social media profiles, people around you who take an interest in legal matters, etc. Which social media platform are they most active on? How do they search for law firms online? How do they search for legal queries? Have they ever come across forums where legal queries are discussed? Do they frequently listen to podcasts, read blogs, or watch YouTube videos? Are there any legal blogs and legal experts they follow online? 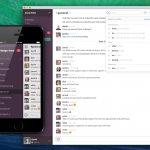 Add in any questions you feel might help you pinpoint the digital hangouts of your target audience. If they’re online clients, you can send them a survey via SurveyMonkey or Google Forms, or you can also simply email them questionnaires. 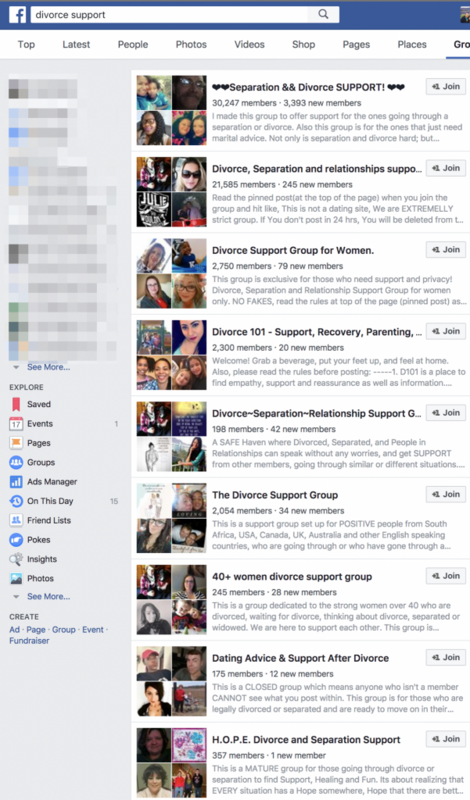 You can also search Facebook groups, which are places where communities gather together to discuss a certain topic. Engagement rates are high in here, and they’re generally great for research purposes. Use Facebook’s search bar to search for groups interested in legal matters. Now, not all groups you find may serve your purpose. Look for ones in your niche that have high engagement. Join the groups and go through the conversations. What are the common traits of people looking for law firms in your niche? How can you serve them better? This step will help you nail down your target clients and create content specific to their needs. Your elevator speech needs to be succinct and informative. It should introduce you and answer all the questions in under 30 seconds. Describe who your law firm helps and the core benefit of using your legal expertise. If you target local communities and work within a tight-knit local circle, then mention your area as well. Write at least 30 different variations of the pitch and then choose the best one. Make sure it’s short and compelling. Once you have all the required information about your audience, fill in the following ‘Client Persona’ for further clarity. The more details you define, the more effective your law firm’s marketing plan is going to be. A legal marketing plan comprises of goals, strategies, and tactics. A goal is a comprehensive result of what you want your law firm to achieve. A marketing strategy is a thought process to achieving that goal. Tactics are the actions you take to get to that goal. Your goals not only need to be realistic but also super specific. Without that, you won’t be able to create a targeted plan, and your marketing budget won’t transform into an investment. For example, most attorneys think ‘getting new clients’ is the ultimate goal. New clients may not always translate into profits for your law firm. How many new clients per day? How many new clients annually? What kind of new clients? Will they find you through referrals or will they come across your digital existence searching legal queries on Google? Before you start to set new goals, first take out time and figure out where you are now. How many clients are you serving annually? How many leads do you receive online? Once you have a clear idea of where you stand presently, creating specific goals will become easier. 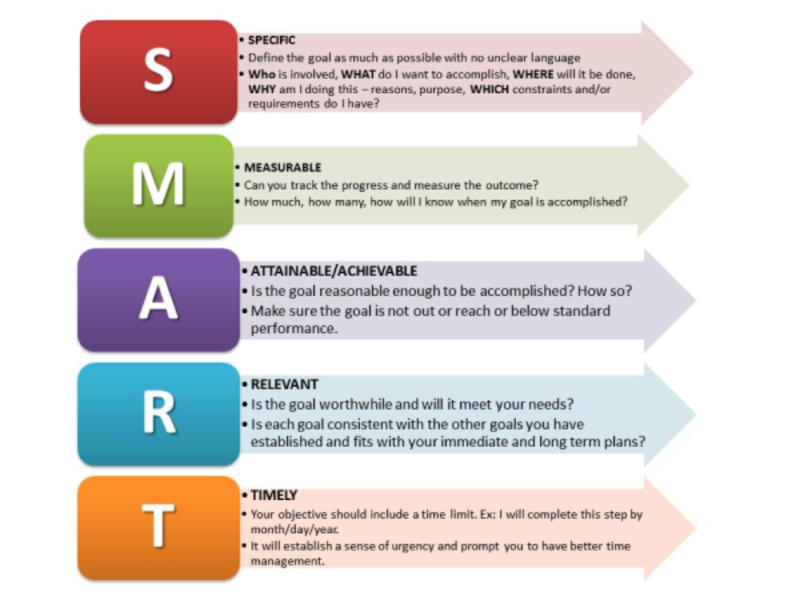 Use the S.M.A.R.T goal setting technique to zero in on your goals. Answer all of these questions while making goals, and you’ll end up with real goals that can be accomplished through a clear strategy and marketing tactics. Now that you have a clear goal to aim for and your target audience is all set, you need to choose marketing strategies for your law firm. 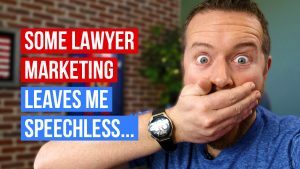 There are several online marketing strategies that you can use to promote your law firm online and generate leads from. A website with engaging content. Social media profiles on the popular platforms – Facebook, LinkedIn, Twitter, and possibly Pinterest or Instagram. If you haven’t already created these assets, then focus on them first. Content marketing is all about solving your audience’s problems and answering their queries in a non-legal jargon. An effective content marketing plan is closely aligned with your target client’s buying journey and distributed to them in a highly targeted manner – i.e. through channels that they’re most active on. Creating highly engaging content requires effort, so you want to make sure every piece of content goes to the distance for you. We created a step by step guide that shows exactly how to determine the best content to create. Be sure to check out the video in its entirety. 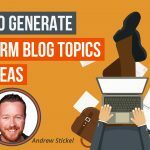 Content marketing isn’t limited to blog posts, it comprises of several things; whitepapers, news posts, in-depth guides, eBooks, and visuals like infographics, memes, etc. According to a research commissioned by Byfield Consultancy, out of 101 law firms, over half the firms have won business as a direct result of social media engagement. This clearly shows that social media has great power even in the legal sector. However, social media isn’t limited to Facebook. It includes LinkedIn, Pinterest, Twitter and Instagram, as well. Use social media to show the human side of your firm and connect with your potential clients and audience on a deeper, more personal level. Use the power of content and visuals like webinars, short videos showing your work atmosphere, pictures introducing attorneys in your firm, powerful court pictures. For example, Fenwick & West is doing a great job promoting their law firm through Facebook. Their page is a nice blend of legal news and entertaining content. Their content shows authority and also gives human vibes. Post content about anything that engages your audience and encourages them to talk to you about their problems. Show client reviews and use these platforms to increase referrals. You can also use paid social media marketing services. For example, if you’re a personal injury law firm specializing in car accident victims, then you can use Facebook ads to target your local community. This way you can reach out to a wider audience who have high chances of turning into your next clients. Similarly, each platform offers paid marketing opportunities you can benefit from. Start off with one platform. 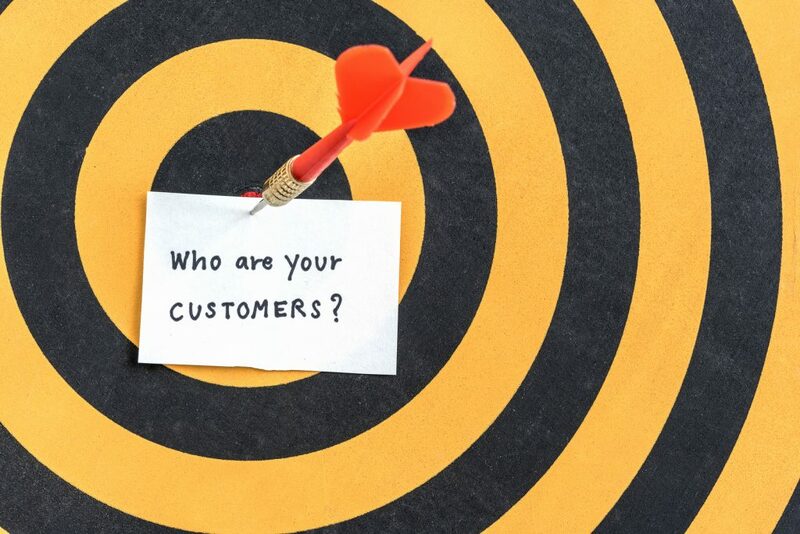 Use your marketing persona and survey answers to figure out which platform your clients are most likely to use. Once you see success there, go on to other platforms. This will keep chaos at bay and help you gauge which social media attracts your audience and generates maximum leads. Before hiring an SEO company, be sure to check out our guide How to Hire and Internet Marketing Company and Hold Them Accountable. According to Lawyernomics, 21.9 percent potential clients when looking for a lawyer start with a search engine. 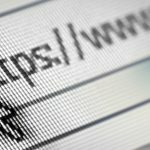 Search engine optimization is a huge subject on its own, but a great place to start would by reviewing Charles Floate’s On Page SEO Guide. This will give you a great starting point for ensuring your website is as optimized as possible. The legal sector has a lot of competition in the digital world. Ranking high on search engines for legal terms and specific niche keywords is vital for law firms looking to establish their presence online. However, unlike other marketing tactics, SEO can be costly. Make sure you have a solid SEO strategy in place before you embark on this marketing journey. Here are a few tactics to get you started. Target local traffic – You won’t be able to rank high for high competition keywords right away. If your firm is a family law firm specializing in divorce and based in Los Angeles, you won’t be able to get a high ranking for “Los Angeles Family Law Firm” right away. It may take months and even years of effort to rank for highly competitive keywords. 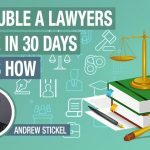 This is why a solid content creation strategy is important – while you might not be able to rank for “Los Angeles Divorce Lawyer” right away, chances are you can rank for terms such as “divorce lawyer fees” or “how much does it cost to get divorced” and other searches performed by potential clients researching divorce. 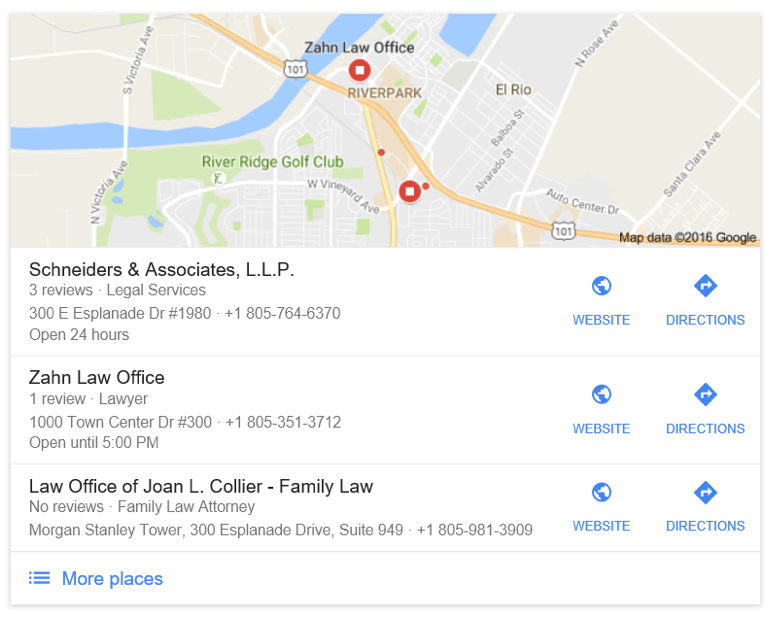 Local Listing – Getting your law firm listed in Google Maps and other directories is great for online branding. It is very important to select your categories carefully when setting up your Google My Business listing. Be sure to use all of the applicable categories, including generic categories such as Lawyer, Law Firm, Legal Service etc. You also need to have a clear idea of your marketing budget. This plays a big role in selecting the marketing strategies to reach your goal, since online marketing is not all free. When choosing the strategies you’ll include in your law firm’s marketing plan, dedicate a specific budget to each of them. How to decide which marketing strategy to go for? Check out competition. Look for law firms in similar fields and see what they’re doing online. Are they spending time marketing on Facebook, Pinterest or focusing most of their efforts on content marketing? Most importantly – is it working? Just because other firms are doing it, doesn’t mean it’s the best strategy for you. Often, it’s easier and cheaper to go where other firms don’t. For example, very few firms take advantage of video marketing on Facebook and YouTube. This is a wide open market, and it’s inexpensive. Go through your target audience responses and check the answers. Are they more active on social media, or are they a blog post/news reading kind of audience? Do they search on Google for their legal queries or have joined forums and groups on social media to get their legal questions answered? Test, test, and test some more. The best way to figure out which strategy works for you is by testing the results and evaluating which tactic is bringing you maximum profit. Now that you have your goals in place, a shining marketing persona and you’ve chosen marketing channels you’re going to use, you need to turn the leads you generate through this process into clients. 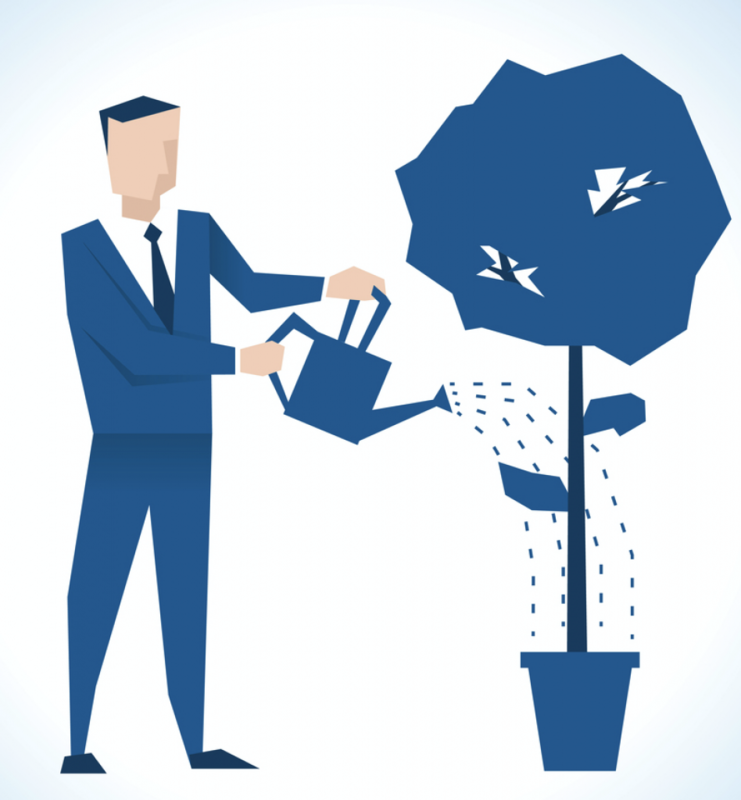 That’s where lead nurturing comes in. You need to create a system to convert leads into clients. This way you’ll get more clients with the same amount of leads. Keep track of all leads that you generate. Use a CRM like Salesforce to manage all your leads – where they come from, who they are, what help do they need, etc. Make it easy for leads to engage with you. Update all your social media profiles so that your law firm’s address and phone number is visible. Your website should have all the relevant information present to convince your leads that you’re the attorney they’re looking for, along with your contact information. 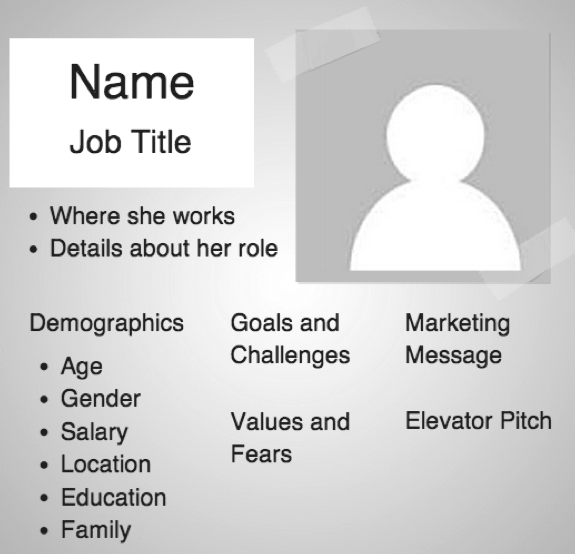 Use the marketing persona to create personalized content on your website, highlighting your target audience’s main pain points and desires. The social media platforms you’re using for your law firm marketing should have an admin available 24\7 to answer all queries. Emails should be followed up with quickly, too. Delegate someone (not the attorney) in the office the task of contacting all leads instantly. One of the biggest struggles we see with our clients is leads going to waste. We often see emails not returned in a timely manner or phone calls that go to voicemail. You’re working this hard to get leads – don’t let them go to waste! Identifying your target base + setting goals + developing and deploying marketing strategies + converting leads into clients = successful law firm marketing.